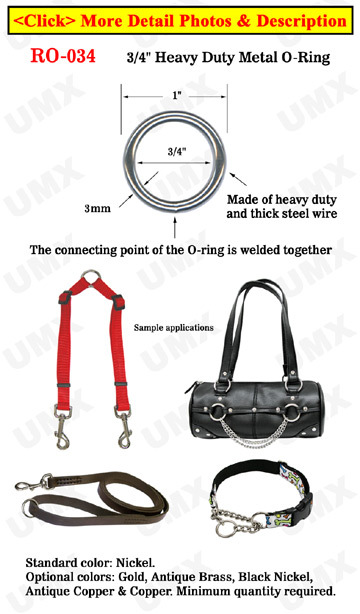 The 3/4", non-split steel metal orings are great for 3/4 inch straps. The steel metal orings are firmly welded together at the connecting point. They are great for making dog leashes, pet collars, bag straps, belts, and device fasteners etc.